Perfect for survival shelter & wilderness bug out bag. 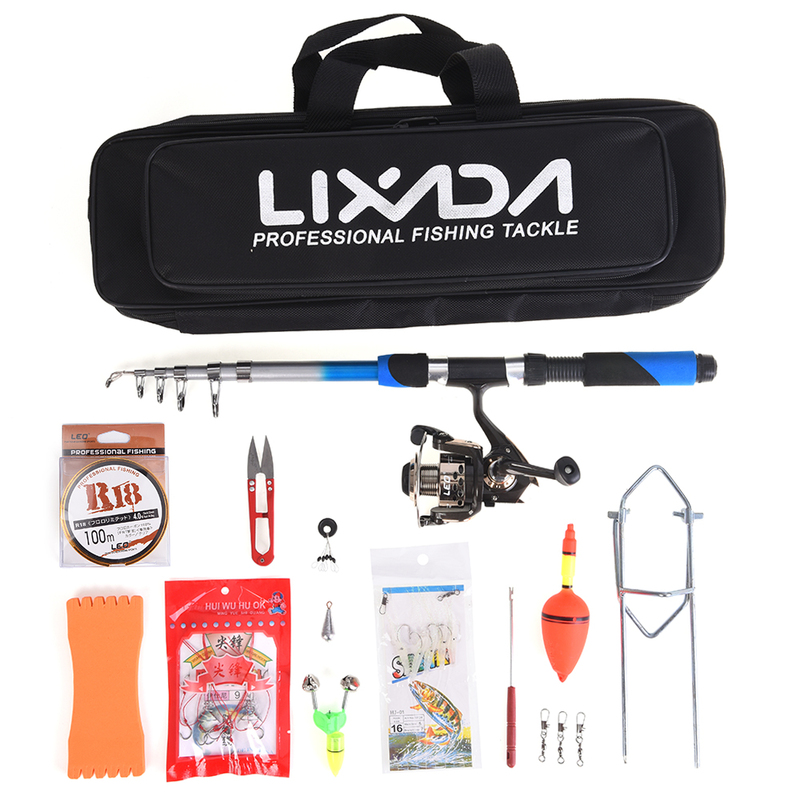 Complete Fishing Kit: Telescopic Fishing Rod + Spinning Fishing Reel + Fishing Bag Case + Various Fishing Lures + Fishing Hooks + Some Necessary Fishing Accessories. 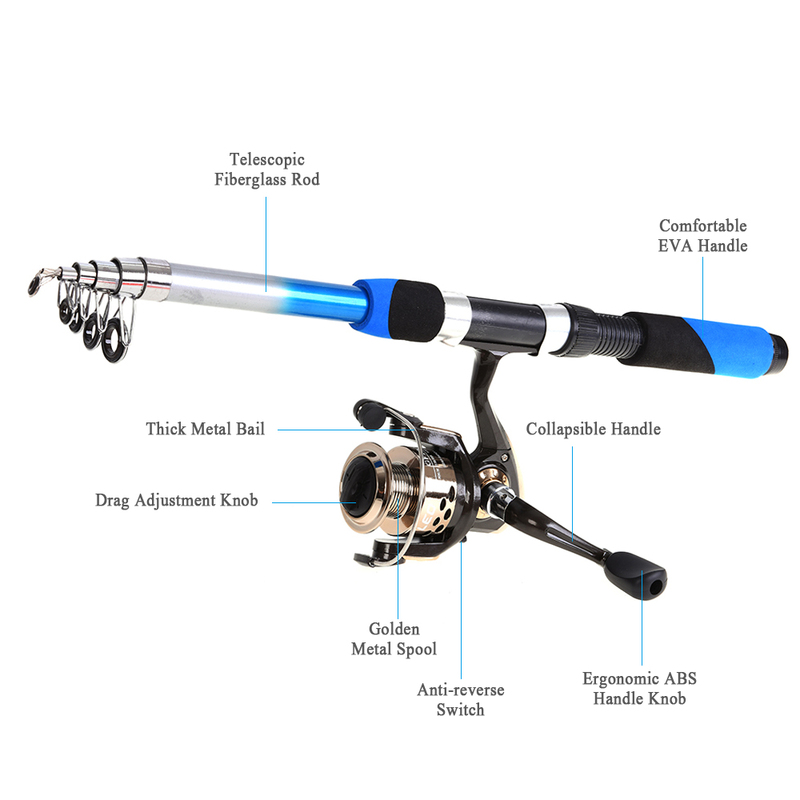 2.1M Fishing Rod: High density fiberglass material makes the fishing rod hard and durable. 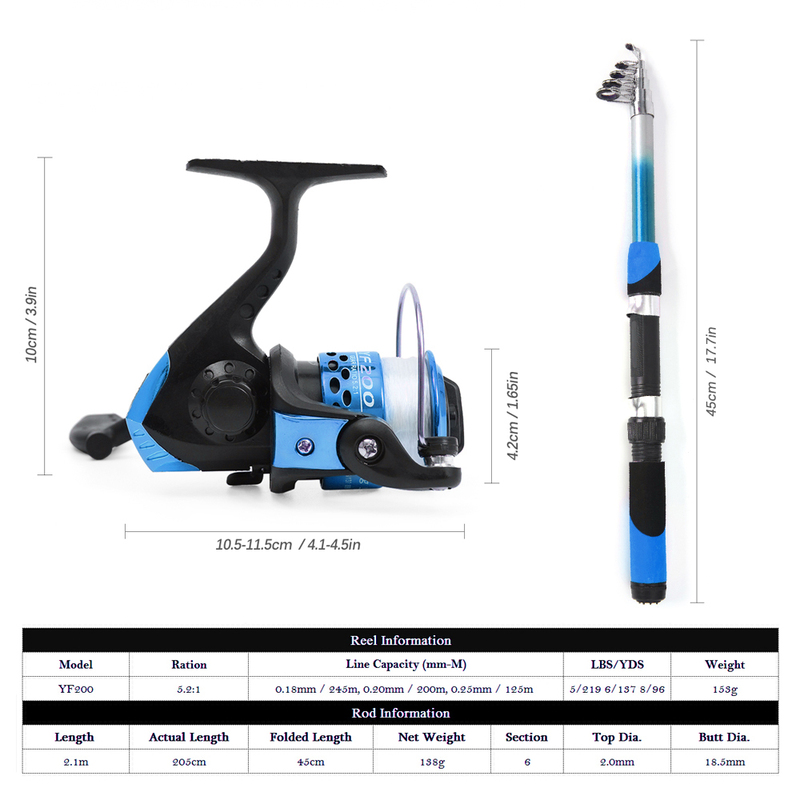 The fishing rod is telescopic and portable, very convenient to carry around. Fishing Bag Case: Fishing bag is made of anti-scratch Nylon, provides your fishing tackle with all-around protection. The big capacity has enough storage space for your tackle. 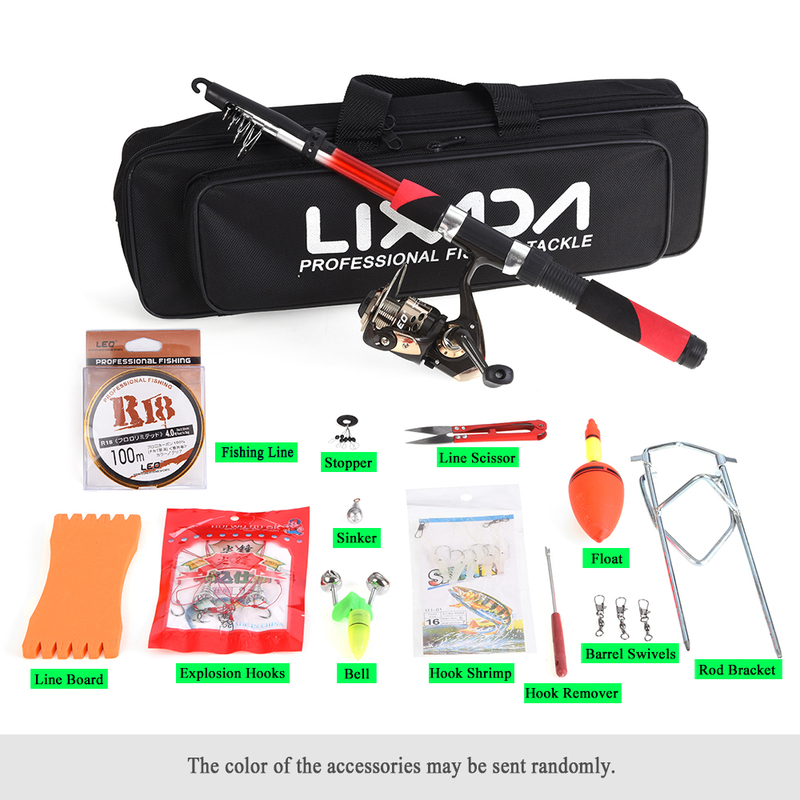 Fishing Accessories: This kit comes with fishing lures, hooks and some necessary fishing accessories, bells, hooks, sinkers, floats. Full kit is great for both novice and professionals. It is lightweight and portable, very convenient to carry around.